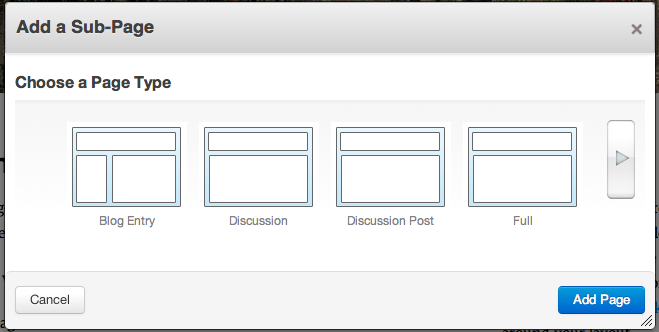 Select a Page Type that includes the editable areas you want, you'll be able to reskin this page later using Themes. Page Name is how the page will read in Navigations. 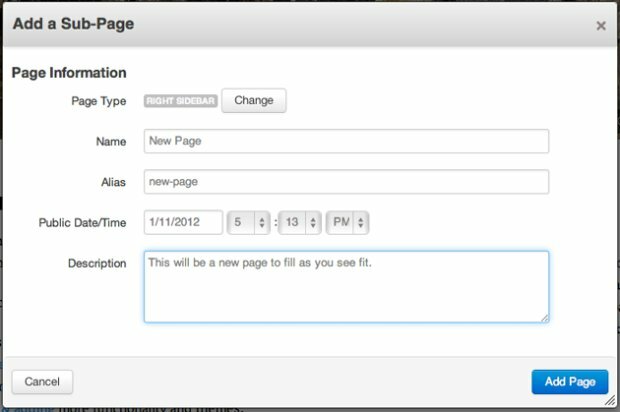 Page Alias is what the URL will look like. Page Description is used for searching and summarizing. 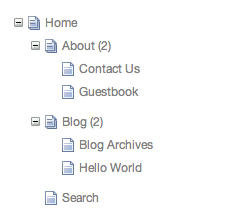 Note: some Blocks might show up based on the default Blocks defined in your Page Type.